“Edicto” recounts an imagined family history as Jews from Spain in the 16th century. 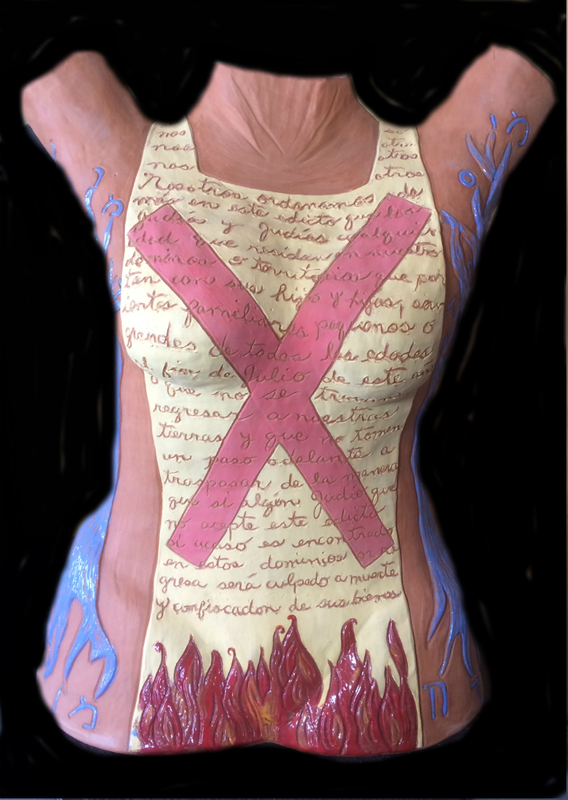 The Edict of Expulsion is carved into the front and back of the female who has her arms raised in surrender. Red flames rise from her hips. The yellow mantle refers to the Sambenito-a chest covering that was used to identify converted Jews. On the sides are blue trees whose roots and leaves contain words in Hebrew like Deborah, Loss, family, and Memory.